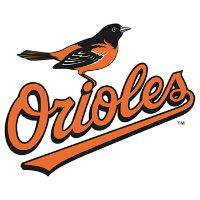 Baltimore scored four runs in the 12th to defeat Toronto, 6-2, on Sunday, snapping a five-game losing streak. The O’s (59-45) regain the lead in the tight AL East by a half-game over Toronto (59-46), with Boston (56-46) two games back. An RBI single by Jonathan Schoop (.287/.317/.491, 17 HR, 59 RBI) broke the 2-2 tie in the top of the 12th, and Adam Jones (.267/.315/.454, 20 HR, 62 RBI) capped the rally with a three-run homer. Chris Tillman (14-3, 3.46 ERA, 1.22 WHIP) got a no-decision after going five and two-thirds innings, allowing two runs on five hits, striking out six and walking three, and needing 111 pitches to get there. The Orioles bullpen put up six and a third scoreless innings in relief, allowing one hit and walking three. Mychal Givens (8-1, 3.59 ERA, 1.41 WHIP) got the win with an inning of scoreless relief.